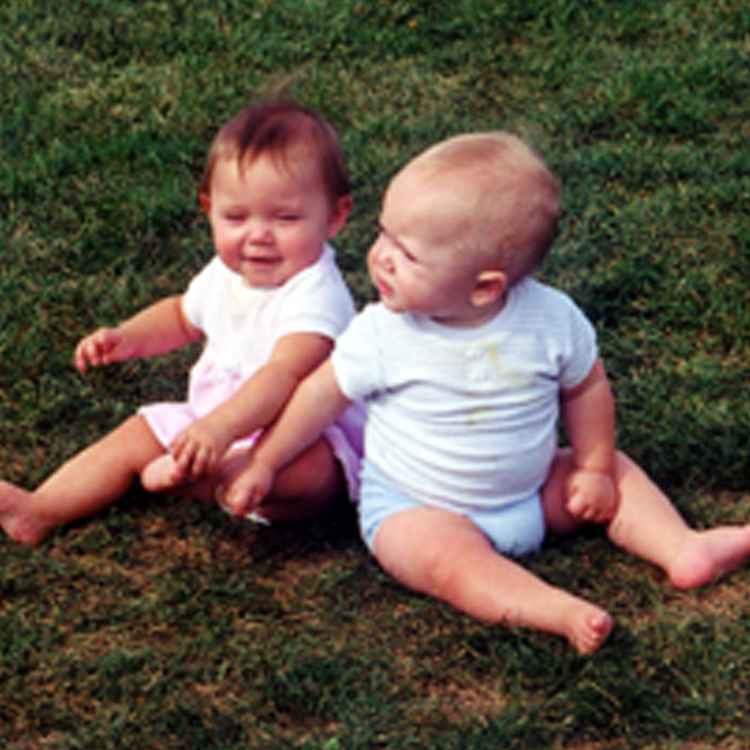 Six month old twins Joseph and Juliann were injured when their stroller collapsed. “In May of 1999 the local police department was holding a car seat safety day, and I decided to try and venture out alone with my 6-month-old twins. I thought it would be a good idea to make sure the car seats that were second-hand had not been recalled, and also make sure we were properly installing them into our car. In order for the police to check the seats they needed me to take the kids out of the car. I could not comfortably hold them both, so I took out my stroller from the trunk of the car. I had a Cosco Rock-N-Roll side to side stroller. I set the stroller up, making sure it was locked and the brake was on. I took Joseph out of his car seat first and buckled him in the sitting position, and then I did the same for Juliann. I turned back to the car to get my pocketbook, then turned back to the carriage and noticed that the two seats with my children had fallen face first to the concrete below. I was horrified. I screamed for someone to help as I couldn’t lift both babies and seats up at the same time. Police officers rushed over. Luckily my daughter and son appeared alert, though my daughter was bleeding from her forehead and my son’s leg was bleeding. I took my children to the hospital. My daughter had a concussion and my son had sprained thumbs, and both had scrapes. The police officer did check over the carriage. It appeared that the rocking mechanism, after barely 6 months of use, had worn away and became disconnected from the base of the stroller — which is why the seats fell forward. What’s Happened Since Joseph and Juliann’s Incident? In 2016 alone, an estimated 10,000 injuries were treated in emergency rooms which were related to strollers, according to CPSC Nursery Product Reports. Most stroller injuries were caused by either falls or strangulation. On average, two children died per year from stroller-related injuries according to data from 2012- 2014. From 2007 to 2013, there have been 33 stroller recalls totaling nearly 6 million units and involving 5 deaths. Since 2013, there have been 17 more strollers recalled. Even with improved safety standards, there’s work to be done, especially on the part of manufacturers. A Graco stroller which fatally entrapped Bobby Dead (link) was not recalled or redesigned until nearly 3 years after Bobby’s death. This same stroller was responsible for at least 5 infant deaths before 2007, and an additional death in 2011.